A summer theatre intensive that offers theatre education and training to youth in the Baltimore metro area. 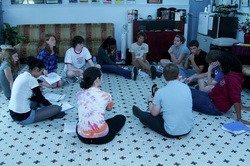 The program was designed by local theatre professionals with input from local college and university theatre educators. 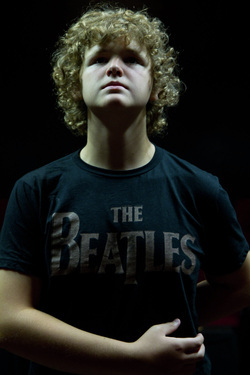 Our three-to-five week camp is for the serious young actor who wants to have fun!! provides an age-appropriate conservatory model, giving students an intellectual as well as practical approach to the craft of acting. Young Actors spend over 130 hours in both the classroom and on stage to understand the methods of acting, the historical context of theatre from a global perspective, and a vast array of workshops, including: Stage Combat, Movement for the Actor, Improvisational Comedy, Acting for Film & TV, Make-Up Design, Audition Techniques, Commedia/Clown, and more. Classes are taught by local theatre professionals, including local university staff, and national and international theatre professionals. Both the Middle & High School programs will be 5 weeks. is an experience-based approach to acting, play writing, and the general craft of storytelling. Using primarily improvisational methods, students come away with notions of dramatic structure, character development, monologue and scenework, and more. Their final performance culminates in an entirely original performance—written, directing, emceed and, of course, performed, all by the ensemble. Educational and theatrical professionals dedicated to providing a concentrated curriculum in the knowledge, skills, and practices for powerful theatre. Our staff is comprised of teaching artists and master class instructors that work in K-12 schools, colleges, and universities, as well as at local, regional, and LORT Theatres. Their wealth of experience in the classroom and the theatre give our young actors extraordinary opportunities to gain new insight into plays and character development, while polishing their fundamental talents. "Throughout the five week program, Lashay has learned and accomplished man techniques that have redefined her theatre acting and stage skills." how to improve your skills as an actor."